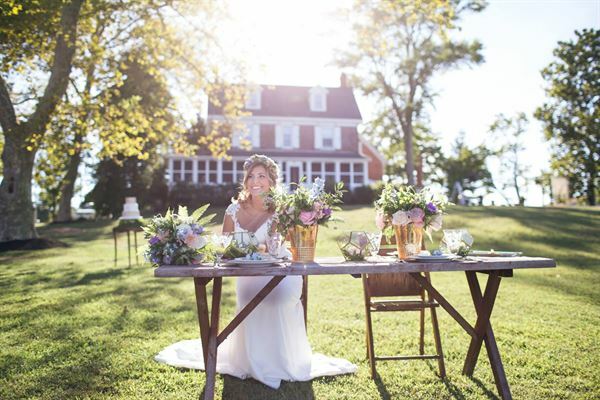 Nestled deep in the heart of the south Jersey shore, lies the Eagle Manor estate, a waterfront barn wedding venue like no other. The estate boasts an extensive waterfront with a massive deck and boat house for buffet and hors d’oeuvres in between ceremony and reception. The 10 bedroom, 280 year old mansion house is ideal for hosting special event guests, family reunions, or retreats. Our historic, 150 year old, dairy barn is ideal for hosting your rustic ceremonies or receptions. At 5600 sq. ft., the barn has enough space to accommodate the largest of ceremonies or receptions. The barn overlooks our reflecting pond and historic corn crib which are ideal locations for photos. The two story boat house reception hall is ideal for the reception bar, buffet tables, and cocktail parties. It’s double doors open onto our massive river deck over the Cohansey River. The boat house has a full kitchen in the back for meal preparation and staging for catering. This makes it ideal as a serving hall for guests on the river deck and lawn pavilions. You can get a closer look at the boat house and river deck in this video. Our expansive, multi-tiered, 2300 sq. ft. deck has a panoramic view of the Cohansey River which it overlooks. The deck is ideal for receptions and wedding ceremonies. Very large wedding parties can be hosted in pavilions on our waterfront lawn. The deck lighting helps set the mood for magical evenings. It even has a podium for speakers or for brides to throw their bouquets.